message-from-ceo - BNKC (Cambodia) Microfinance PLC. 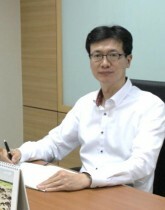 I am Park Byoung Soo, a President/ CEO of BNKC (Cambodia) Microfinance Institution Plc. 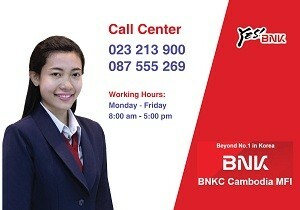 Firstly, I would like to thanks for your supporting BNKC. Our company has started operating smoothly without any problems. Even though our role is relatively small, but we hope that we could be a useful help to our clients and the economic growth in Cambodia. 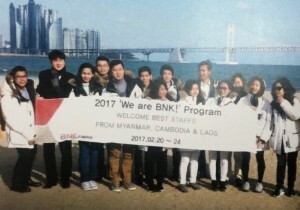 In 2017, the BNKC was growing a bit fast with sustainable and expanding to any area in Cambodia. As the result of our work, there are 1,557 clients balance have been received the financial service from BNKC with loan disbursement balance USD 5.91 Million. They are living in Phnom Penh City, Kandal Province and Kampong Spue Province (32 districts, 182 communes and 636 Villages). The quality loan is very good as well as PAR >30 Days is 0.48% (Zero point forty eight percentage). Moreover, we have trained our employees to be the professional financial staffs through providing the internal and external training course as job required. There are 31 internal training courses and 11 external training courses/workshops that our employees have been delivered. Additionally, we have promoted on corporate social responsibility as well as donated to Kuntha Bopha Hospital for contributing to help Cambodian Children as amount $1,000. 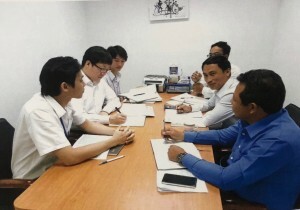 As result above, I believe that the key success of our company is depend on the quality of human including clients and employees which means that they are happy, professional work and made a good culture. We will manage in according to the philosophy mainly emphasize on the long term upbringing human resources basically contributing to the company growth. This is not just a short term goal or a temporary implementation. Eventually, we will develop ourselves to be a representative of Microfinance sector in Cambodia. We will enhance our work to make the profit which benefit to both employees and clients. We will continuous working smart to reach our goals in the near future. We wish you all have a good luck and happiness!